Built by Frank and Florence Haven Davison, 1895-1897. 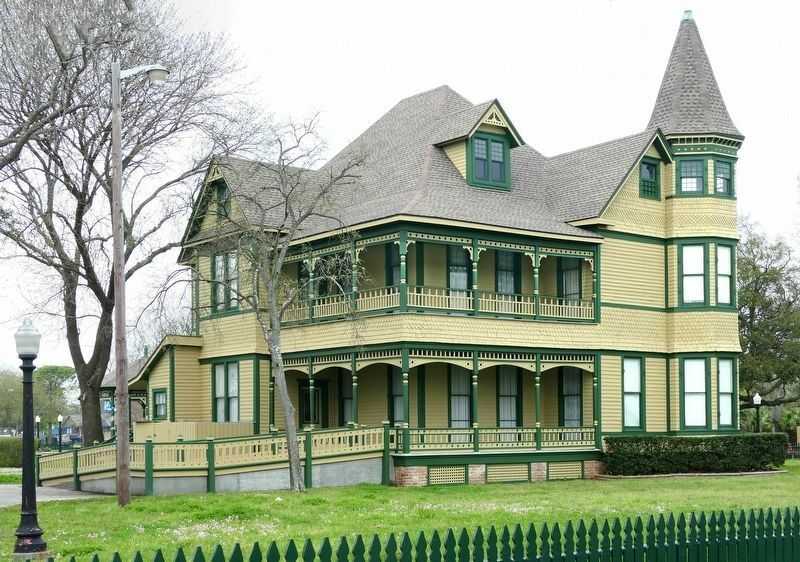 Sturdy Victorian structure, of cypress. 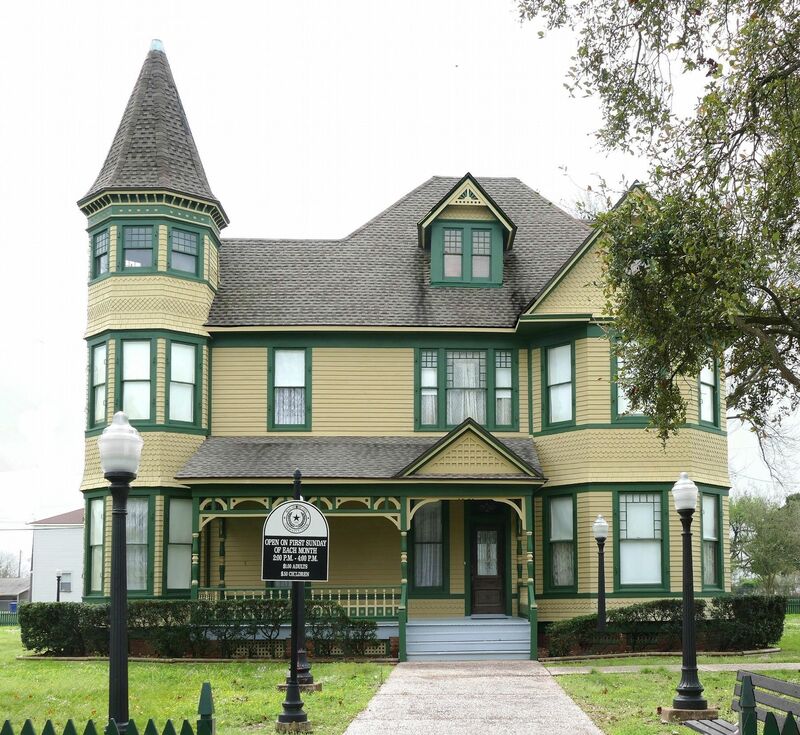 Home of first child born in Texas City (formerly named Shoal Point). Survivor of many storms; suffered most in 1947 disaster. 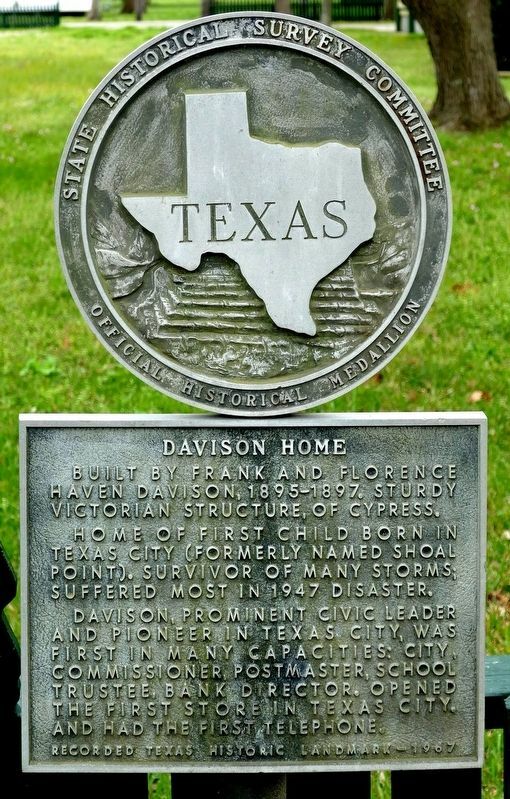 Davison, prominent civic leader and pioneer in Texas City was first in many capacities: city commissioner, postmaster, school trustee, bank director. Opened the first store in Texas City. And had the first telephone. Location. 29° 23.221′ N, 94° 53.718′ W. Marker is in Texas City, Texas, in Galveston County. Marker is at the intersection of 3rd Avenue North and 1st Street North, on the right when traveling east on 3rd Avenue North. Touch for map. Marker is at or near this postal address: 109 3rd Avenue, Texas City TX 77590, United States of America. Touch for directions. (approx. 0.4 miles away); Sociedad Mutualista Mexicana in Texas City (approx. 0.4 miles away); Booker T. Washington School (approx. 0.7 miles away); William Jefferson Jones (approx. 0.8 miles away); Shoal Point and Half Moon Shoal Lighthouse (approx. 0.8 miles away); Site of Austinia (approx. 0.8 miles away). Touch for a list and map of all markers in Texas City. 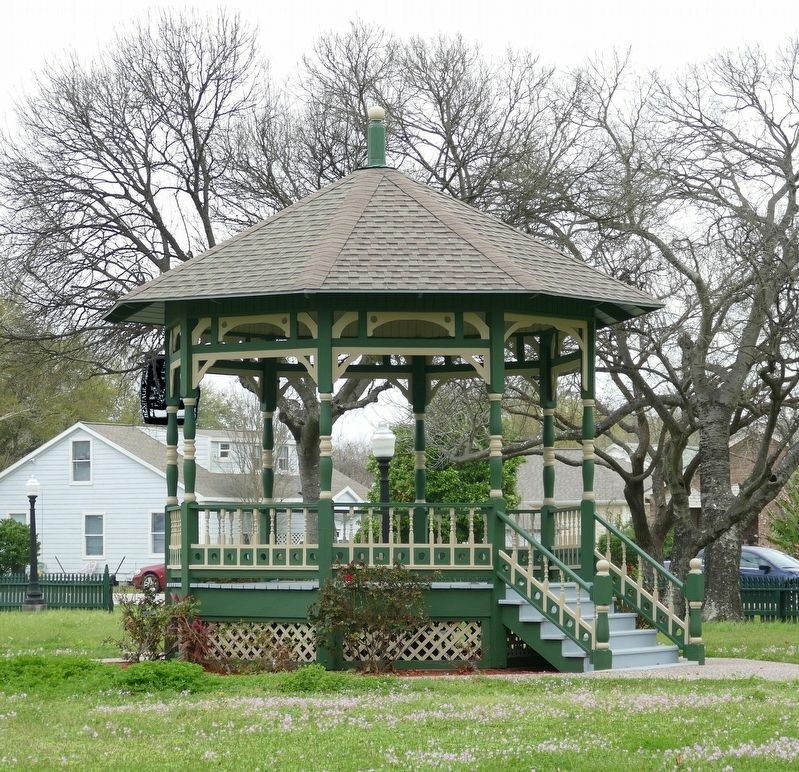 This gazebo is in the west yard of the home. More. Search the internet for Davison Home. Credits. This page was last revised on March 13, 2019. This page originally submitted on March 10, 2019, by Jim Evans of Houston, Texas. This page has been viewed 75 times since then. Photos: 1, 2, 3, 4. submitted on March 10, 2019, by Jim Evans of Houston, Texas. • Bernard Fisher was the editor who published this page.